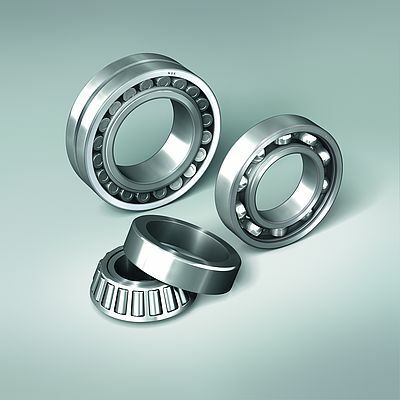 Of direct relevance to the wind energy sector, DNV GL has confirmed that roller and ball bearings made of NSK’s Super-TF material exhibit significantly higher dynamic load ratings. Such is the effect of the higher load rating that bearing service life is effectively doubled in wind turbine applications. The rolling bearings of wind energy systems have to attain very long service life under harsh operating conditions. To overcome this challenge, NSK set about developing its Super-Tough (Super-TF) bearing steel, a proprietary material for very high load applications. Looking to gain independent certification for the material, NSK commissioned the world-renowned test house DNV GL to verify rolling bearings made of Super-TF with respect to ISO 281:2001 (Rolling bearings – Dynamic load ratings and Rating life). The verification confirmed NSK's published specifications and, in a Statement of Conformity dated 15.11.2017, certified that when Super-TF material is used, the basic dynamic load rating can be improved by 23% in roller bearings and 26% in ball bearings. This is equivalent to a doubling of bearing fatigue life in comparison with ordinary bearings. Wind power system OEMs and their customers now have the assurance that NSK’s Super-TF bearings achieve significantly longer service life. The bearings are therefore ideally suited to this extremely demanding application, where bearing specifications call for a service life of up to 220,000 hours without major maintenance. One of the major factors enhancing the performance of Super-TF is its proven ability to reduce surface-induced wear from contaminated lubricant. In addition, the material prevents or retards the appearance of white etching cracks (WEC). These are non-specific symptoms of damage which form below the surface and can lead to premature bearing failure. Through a series of tests, NSK has shown that Super-TF prolongs bearing operating life until the onset of damage. LED-Powersupplies, Wall Powersupplies, with changeable adaptors, for Desktop and Medicine. Powercords: Extensions, Connector Cable and different Country Types Battery Holders: standard, customized and waterproof.